Spring horsemanship clinic schedule just announced! The art of the trail ride! May 18th and 19th 2019. 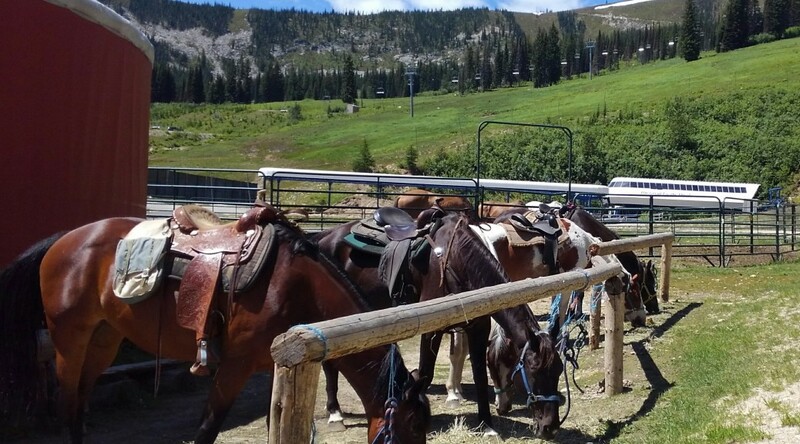 Matt and Christine have owned and operated Mountain Horse Adventures in Sandpoint for 13 years, conducting safe trail rides to the general public in a high volume capacity. Matt has been a professional animal trainer for over 25 years, working with a wide variety of animals including 15 years in the zoo industry. Christine is one of the owners of Pend Orielle Veterinary service and has worked as a Veterinarian for 23 years. Learn a modern approach to Trail Rides and introduce your horse and yourself to the art of Trail Riding and Natural Horsemanship. Learn how to introduce your horse to the trails using natural horsemanship. Learn about trail first aid for you and your horse. Proper shoeing and hoof care for your horse. Learn how to select and train a new horse for trails and what to do when things go wrong. $125 per day/ $240 for both days. Bring your own horse or borrow one of ours. (For an additional fee of $50 per day. You may request anything from Bombproof to slightly challenging). Classes go from 9am to 5pm with a 1 hr break for lunch. 9 to 9:30 Participant arrival. Settle in horses/trailers for the day. Hay and water provided. 9:30 /11am: Horse needs, tack, sadding, hoof care. 11am /12pm: Veterinary care for trail rides, and trailering. 1pm/2pm The horse trailer. Training for safe travels. 2pm / 4pm: Problem horses ( this subject may continue on into Sunday). 4pm /5pm short trail ride. *All clinic times are approximate and will be adjusted to the participants needs. 9am/12pm : Understanding you own horse. Going from Green to Bombproof. 4pm/ 5pm Round table debrief. Open questions. Understanding of the difference between fear and excitability. Understanding of the difference between discipline/ reward and abuse. Learn about trail problems, corrective techniques and calming techniques. Understand how to desensitize your horse for trails and unique situations. Lunch is not provided, however there is a store 3 miles away. There will be limited pens for horses during the day. First come, first served. Dogs are not allowed on premises.